Quite a few people have told me that Tom Wolfe's 1987 best-seller, Bonfire of the Vanities, is right up my alley. I have not read the book, nor have I seen the 1990 film version, so I don't know whether to take their "right up your alley" comments as a compliment or not. However, the book has been on my to-read list for years, and after recently finding a November 1990 HG article about the film's set, I am moving both the book and the movie to the top of my to-do list. 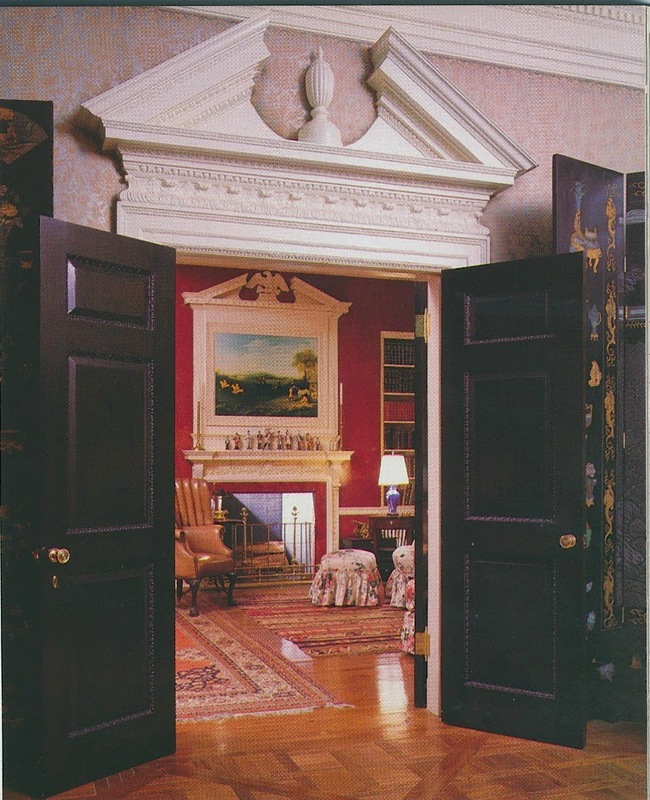 The article's photos, which are shown here, depict the fictional Park Avenue apartment of the book's lead characters, Sherman McCoy, a Wall Street tycoon played by Tom Hanks in the movie, and his wife, Judy, who was portrayed in the film by Kim Cattrall. Judy, by the way, is a socialite/decorator, who was responsible for her apartment's decoration. 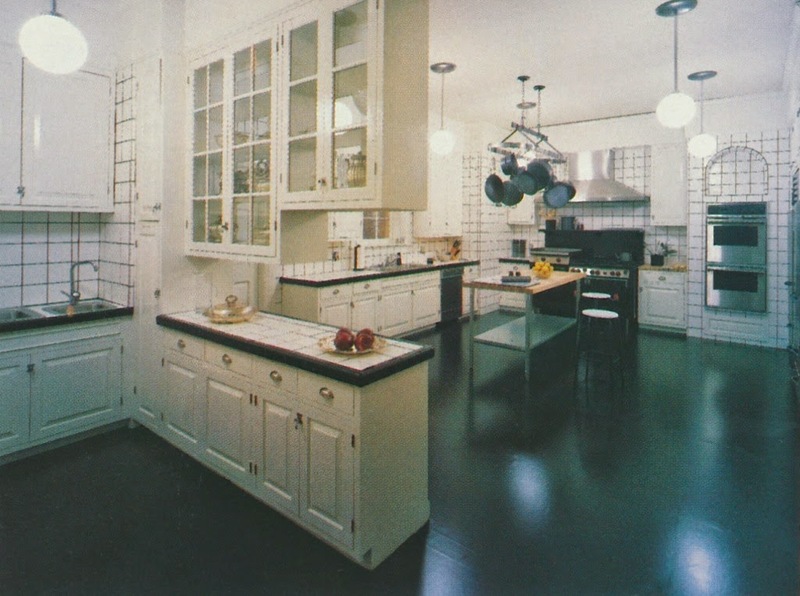 So believable was this movie apartment that had I not told you otherwise, you might very well have assumed that the photos showed a real Park Avenue apartment, circa 1985. That is how well-decorated this fictional apartment was. 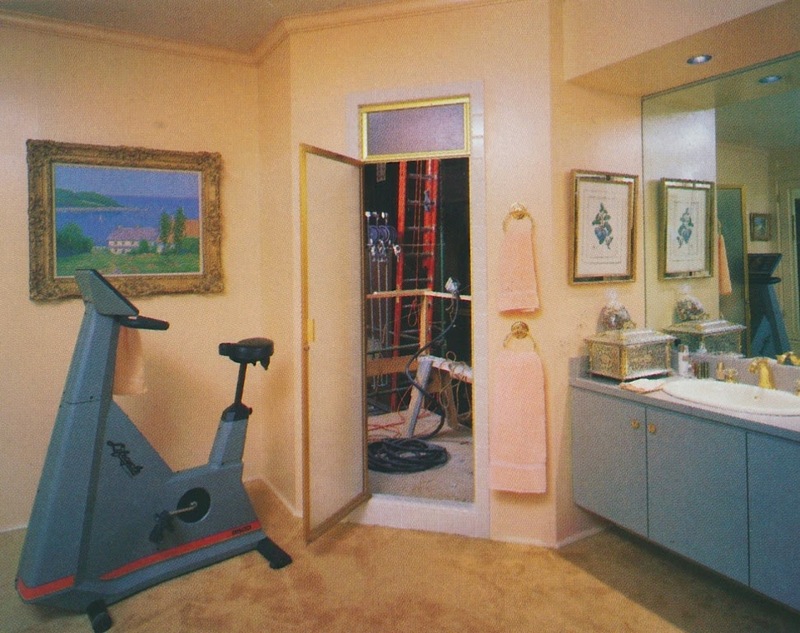 The production designer, Richard Sylbert, spared no expense nor detail in conjuring up the archetypal Manhattan apartment of an 1980s-era master of the universe. 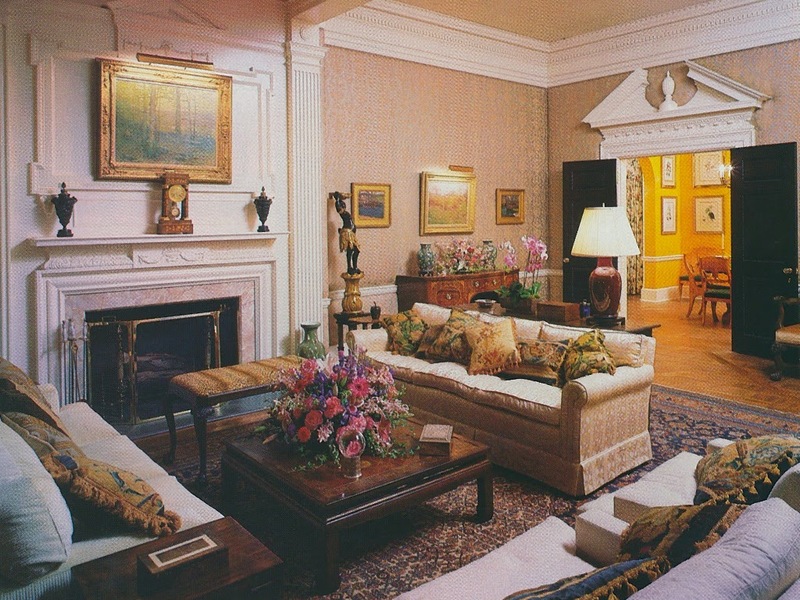 The set's abundance of chintz, English furniture, elaborate draperies, and traditional pictures were all hallmarks of that affluent 1980s-look that Sylbert referred to as "a 'chopped salad' of English country classics". But, using your 21st-century-eyes, start peeling back the layers in each photo, and you'll find a number of classic elements that are still compelling today. 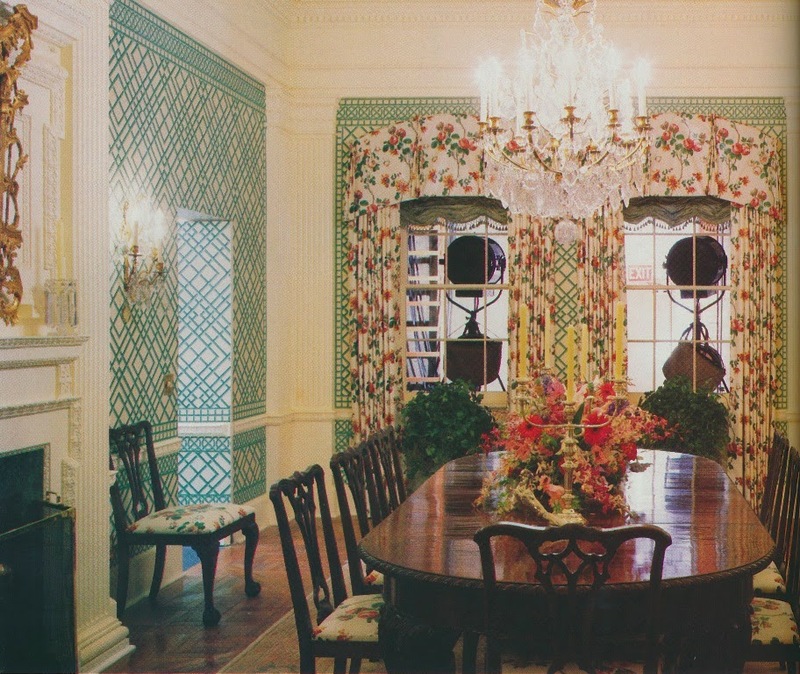 One such example is the now-discontinued Brunschwig & Fils wallpaper in the set's dining room. 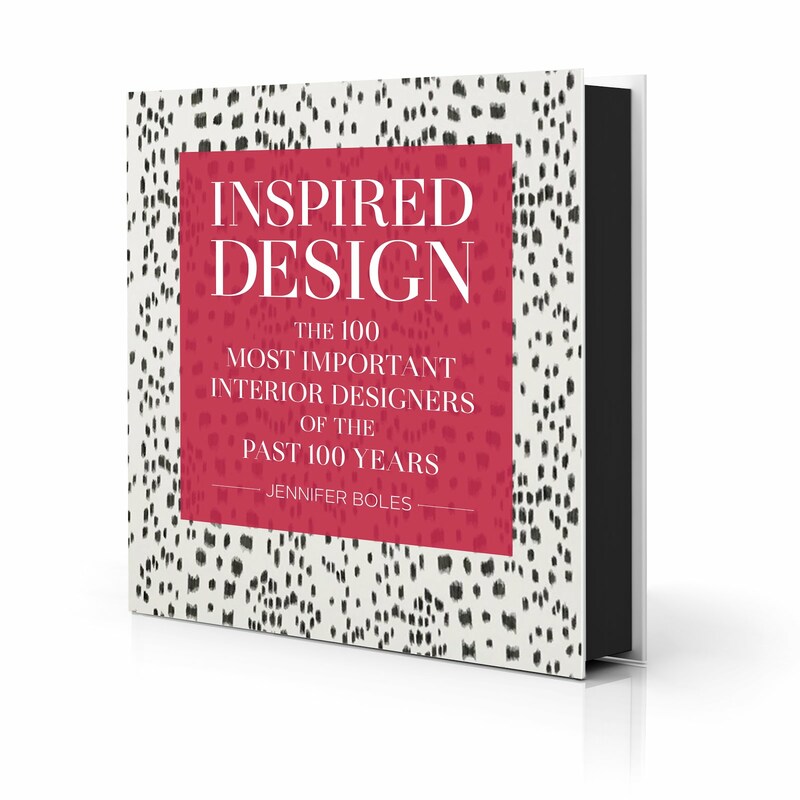 The article's author, Donald Albrecht, wrote, "In the future we may look at Bonfire as representing the essential look of the booming, greedy eighties." Although I have not read the book, I am familiar enough with it to know that Albrecht's comment was indeed prescient, because the book has become a modern classic, one which captured the excess that was the 1980s. 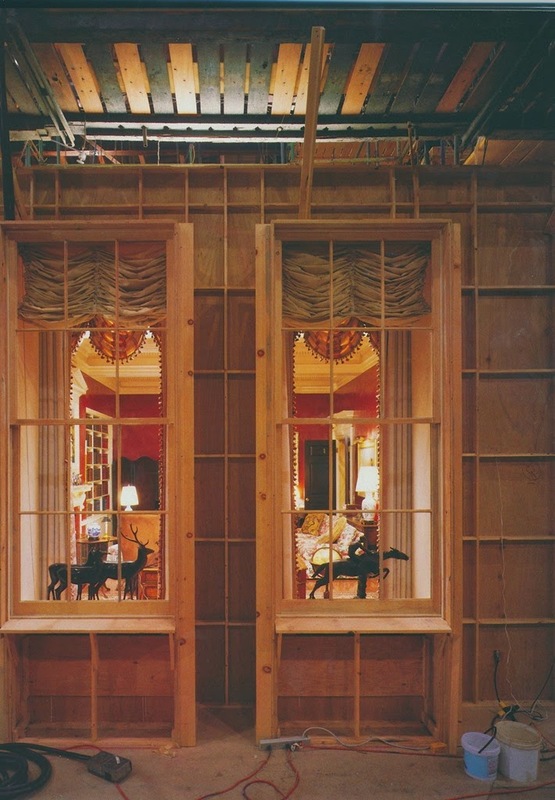 The set's living room was decorated with 18th-century antiques. The dining room, so vivid thanks to Brunschwig & Fils's trellis wallpaper and floral chintz. 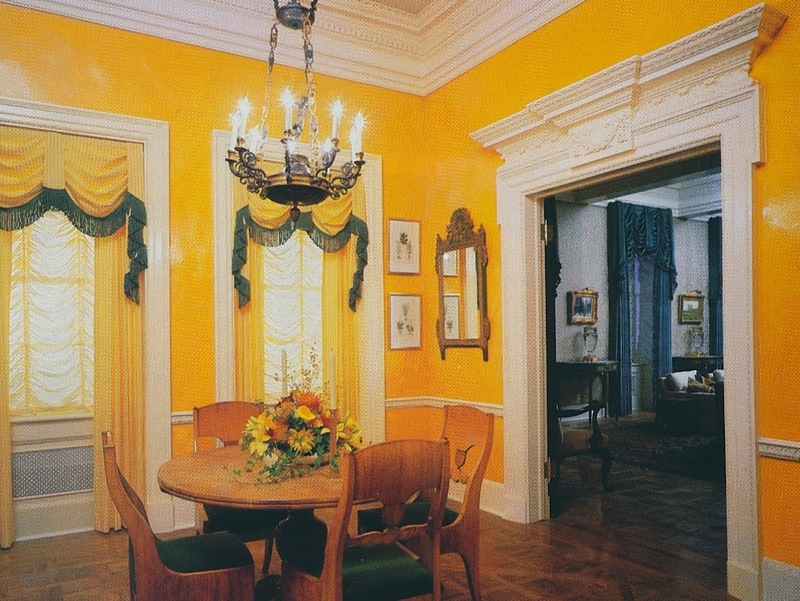 The breakfast room was painted with four coats of yellow lacquer. The parquet used on the set was real and not imitation. 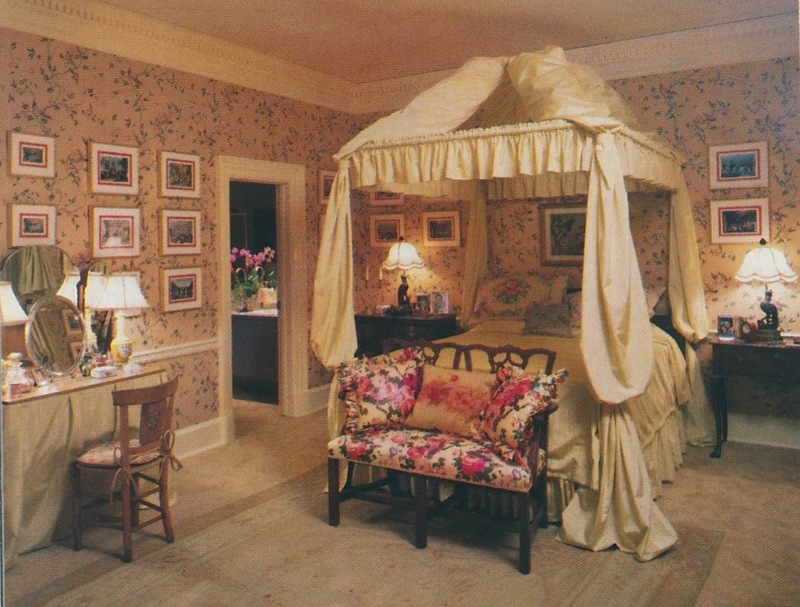 The master bedroom was furbished with an 18th-century Aubusson rug and chinoiserie wallpaper. The bathroom. Very 80s, and very dated-looking today. A glimpse into the English-style library. All photos from HG, November 1990, Grant Mudford photographer. A book and movie I enjoyed immensely. As you say Jennifer, peeling back the layer on each room, and making some style adjustments, the Park Avenue apartment is fresh and classic as ever. Love those 'behind the scenes' views! Dear Anthony, So very nice to hear from you! I love your old home, and I'm sure that your current residence is equally as beautiful. 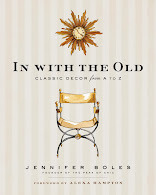 If you get a free moment, please email me at Jennifer@thepeakofchic.com. OK. Well, I haven't watched the film in a long while, but if you exclude the bathroom and master bedroom, that is basically my grandparents house today! So funny! Nothing was "over the top" in that movie. Perfect taste. Today. You will agree! The bathroom and kitchen I remember thinking "EEEEEEEEW!!!!!" in the theatre! I could move into the rest of it!! Lovely floors. (I was so busy looking at the decor)...the movie was great though!!! I have none of those things to say about the latest incarnation..."Wolf of Wall Street"?...whatever it was called..with Leonardo. Sickening and tacky....YUCK! The decor...may have shortened my life! Hideous!!! In the very first photo of the library, can you tell me whose painting of the hunting scene was used. I have a copy but have not been able to determine who the artist was.